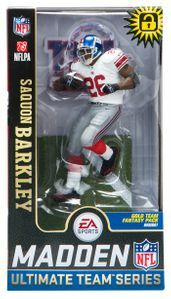 McFarlane Toys has joined forces with EA SPORTS and Madden NFL to bring added excitement to their NFL action figures. Included with the new EA SPORTS Madden NFL 19 Ultimate Team Action Figures will be a code redeemable for 5 Madden NFL 19 Gold Team Fantasy Packs that will help Madden NFL Ultimate Team players ignite their team. 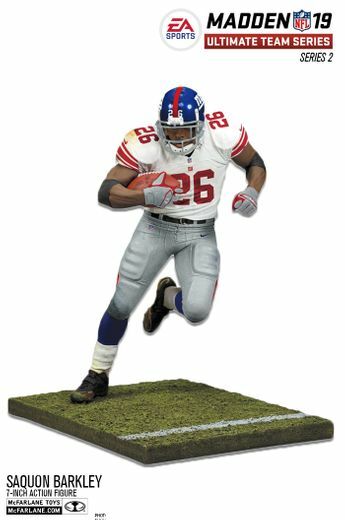 Figures will stand approximately 7 inches tall. New window box collector packaging.